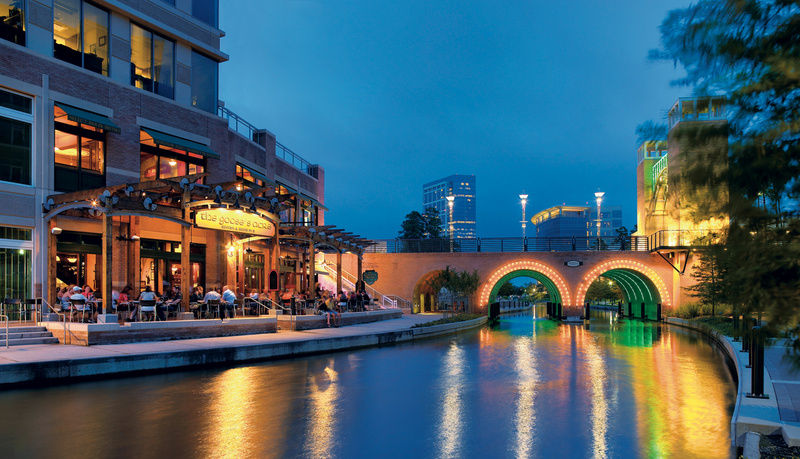 The Waterway connects The Cynthia Woods Mitchell Pavilion, The Woodlands Marriott Hotel & Convention Center, Waterway Square and The Woodlands Mall. 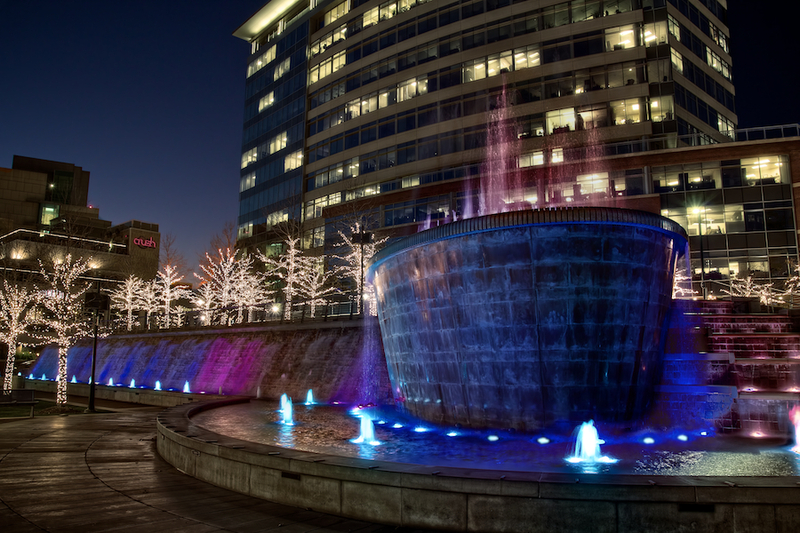 The Woodlands Waterway is impressive and features lighted walkways for night-time walks, the water cruiser service and beautiful fountains both at Waterway Square Park and in Lake Robinson in Town Center. A perfect way to enjoy The Waterway is on a cruise on The Water Taxi, enclosed and cooled for added comfort. The city maintains six waterway taxis that stop at the Woodlands Mall, the Cynthia Woods Mitchell Pavilion, the Marriott Hotel and Convention Center and several waterfront boutiques and restaurants that line the water. 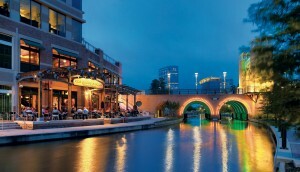 If you want to dine, shop, enjoy music or just relax, you’ll find it all in the Waterway. Below are other attractions you’ll find there. 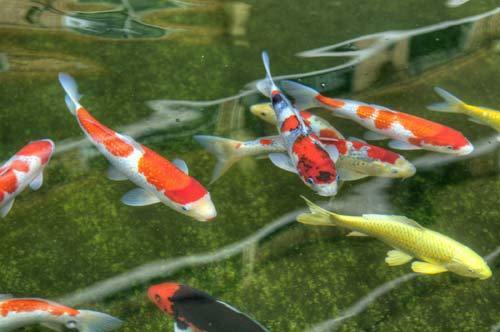 Koi Garden – The garden area, totaling approximately ½ acre in size features a 60,000 gallon koi pond as well as a unique wall and screen design that leads through tropical gardens built on two “tear-drop” shaped islands. 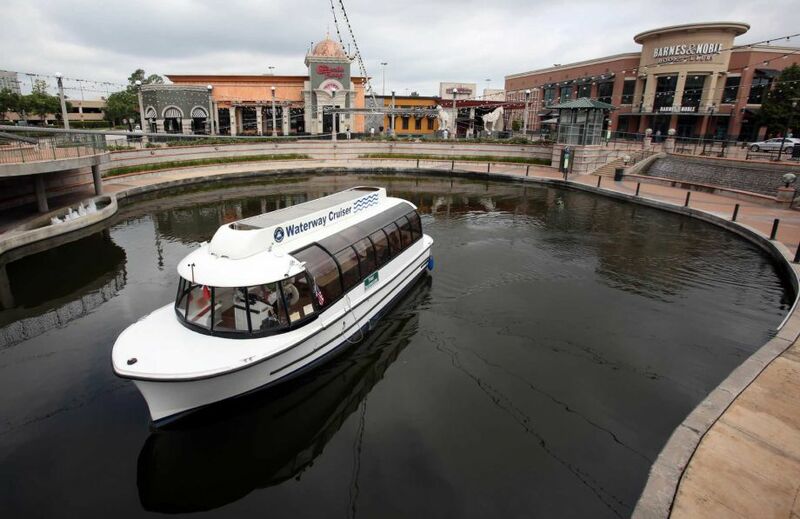 Woodlands Waterway Cruisers – offer an excellent mode of transportation for tourists and locals alike to explore the ever-growing waterway district. The Waterway Cruisers operate on weekends and certain weekdays along the 1.4 mile long Waterway corridor, from mid-morning to early evening hours. Music at Waterway Square – One of the unique features of Waterway Square is the musical breaks occurring every 15 minutes. The fountains are synchronized to various musical tunes played via seven speakers on the upper level, and 12 speakers on the lower playing four times an hour.